We at Fort Worth Locksmith Store locksmith services like to make our customers happy with our work. We also offer our services to you at very cheap and reasonable rates. That’s why we offer customised coupons and deals for our clients! 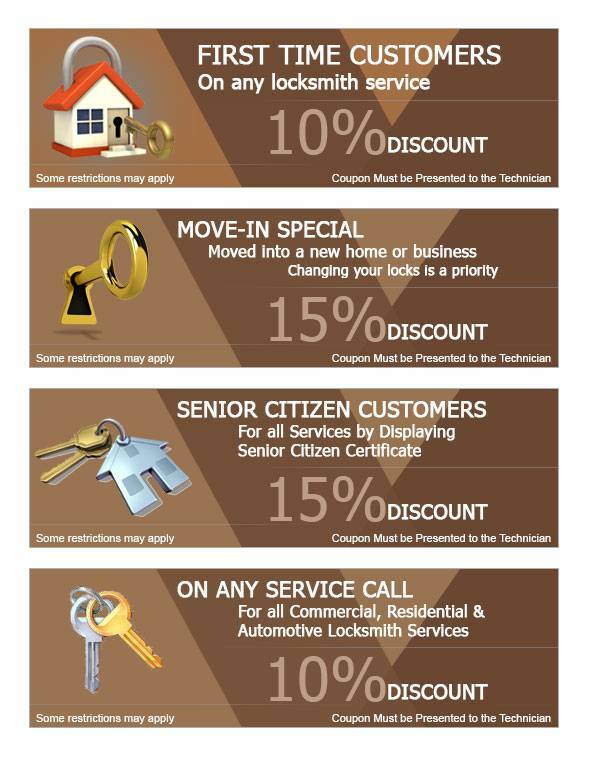 Clients can view the coupon and apply it to get their services done at a lower cost.